Kate and Chelsie: HAVE YOU HEARD? : Alex Monroe Afternoon Tea at The Goring, London. HAVE YOU HEARD? : Alex Monroe Afternoon Tea at The Goring, London. 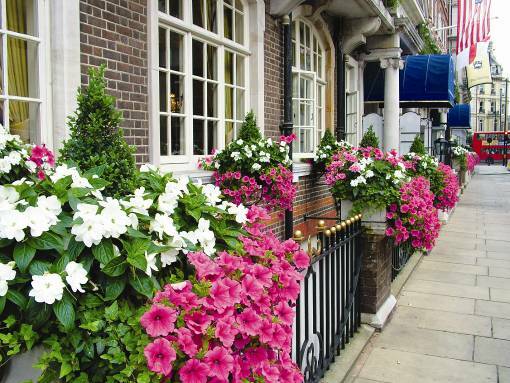 Kate: The Goring is widely regarded as one of the very best hotel's in the city of London. The Goring is located adjacent to Buckingham Palace and within easy walking distance of the Royal Parks, bringing some of London's most iconic sights to your hotel door. This beautiful 5 star hotel, is the only hotel in London that is still owned and managed by its founding family, giving the hotel I feel a certain charm to it. The Goring unlike many other top London hotels is imitate in size size, with just 69 rooms and suites, but offers its guests a level of personalised attention that is difficult to match. 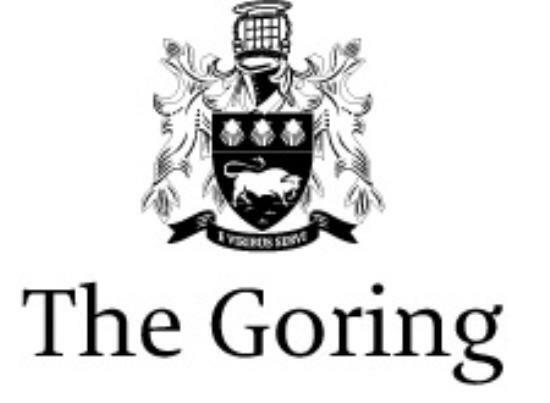 To put it simply The Goring is the perfect hotel for those guests looking to experience something quintessentially English.In light of the above it is of no surprise that Kate Middleton one of the United Kingdom's sweethearts and fashion icons chose to spend the night here before her Royal wedding to Prince William. In May 2012, iconic British jewellery designer Alex Monroe joined forces with The Goring to combine timeless jewellery and afternoon tea. We would like to share with you all, the exclusive Goring Shrimp necklace and Alex Monroe themed afternoon tea! Chelsie : Kate and I just love to find afternoon tea's with a difference, and this one certainly comes with a shrimpy twist to it! I am assuming that like myself everybody likes to feel special, and be amongst the very first to own something that little bit different, something that would catch people's eyes and at The Goring for a limited time this is very achievable. 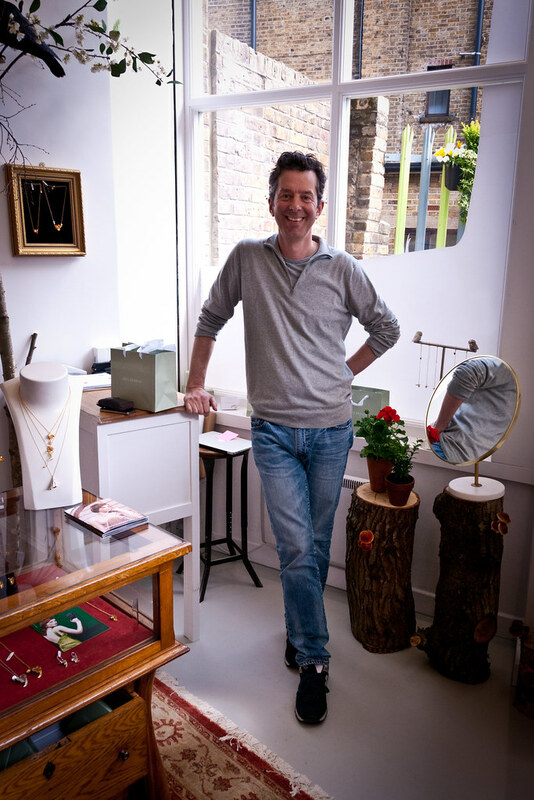 Alex Monroe's cute, hand made silver shrimp plated with rose gold with two black pearls for eyes with its own chain is just that! When I first saw the little shrimp, I was instantly drawn to it, and wished I could go into a hotel like The Goring and purchase such a beautiful necklace- Just think of the memories that would be attached to it! Despite my instant love for the necklace I was curious as to why a shrimp should be selected to base the design on. I discovered that the Shrimp actually pays homage to Alex Monroe's childhood memories of the perfect afternoon tea, he explains; “As a little boy I would run wild in the Suffolk countryside accompanied by my brothers and a dog called Sheba and buy huge bags of shrimp from the fishermen and sail them home for tea which consisted of a huge pot of tea and crusty white bread smothered with cool butter. These teas would last all afternoon until the sun sank below the high walls. So The Goring Shrimp will always remind me of Spring afternoons lazing in the walled garden at the Old Parsonage. And of drinking tea of course. The Goring shrimp is a very likeable little chap; there is a great sense of fun about him and a tiny touch of nostalgia. I almost feel guilty that my mouth waters when I see him!” What beautiful memories! That is certainly enough of a justification for me as to why this Shrimp necklace is so desirable. Kate: The afternoon tea offered in this limited edition period at The Goring is as to be expected classically English. Guests will enjoy an array of delicate finger sandwiches, scones with clotted cream and jam and of course the highly desirable selection of delicate pasteries. This is all accompanied by your choice of tea and the unmatchable ambience of The Goring. The Afternoon tea on its own is surely a wonderful experience, but for those of you like ourselves that are hooked on Alex Monroe's little shrimp friend, you can select an afternoon tea that includes him. Your very own little shrimp necklace will be hand delivered to you at your table as you enjoy your afternoon tea. The combination of The Goring Hotel, delicious British Afternoon Tea and a unique limited edition necklace is simply an unforgettable once in a lifetime memory! Afternoon Tea at the Goring is served daily from 3.30pm – 4.30pm in the sunny Terrace overlooking The Goring's beautiful gardens, or in the warm and inviting Lounge. Thank you for your lovely blog post. Thank you for your kind comment, we are delighted you liked our blog post. We are both in love with your little shrimp! Fingers crossed we will be able to go to the afternoon tea soon!